Stop thinking. Take action. 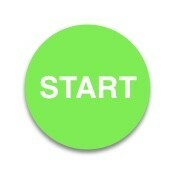 Press "START". A little more about Brian, 10 Aug 2018. An ordinary folk who struggled to make ends meet for the first half of his life. Quit my job some months ago to start another journey for the second half of my life. While I enjoy the peace of mind of being "retired" (or unemployed actually) in the first few months, life was a little boring. Affiliate Marketing was a new name to me before May 2018. I found this topic when surfing on YouTube. Made the right choice to join Wealthy Affiliate as free starter member in June, earned my unique badge of "Premium Starter" on Jul 11, and got my first website https://firstmarathonrun.com/ on Aug 1. I used to be an engineer in product development and manufacturing, play soccer when I was young, switched to running after 30. I run marathons, finished 25 and failed 4. I live in Hong Kong with my wife, our son and daughter. Thanks for sharing and following me. I will be following you as well in this journey. I have always wanted to visit Hong Kong. I admire people that can run marathons. Best of success as you build this business for you and your family. You have a interesting background for sure. Hello Brian and thank you for choosing to follow me, I too wish to follow you in return. I congratulate you on joining Wealthy Affiliate, and also to become Premium as well, an extremely wise decision. I am sure you will be happy with all there is to offer here. Follow and apply the wonderful training available here, and you may well be very successful. I wish you every success in your online adventure. Thank you for following me as well. Wealthy Affiliate is definitely a great platform and community to learn and hopefully earn. I'm now following the training though slow, yet it's fun. Thank you for following me. I'm now following you in return. My apologies for the late response to your 'follow' notification. I've been unusually busy this past month with family members and I had to put a temporary hold on some of my WA and other business-related activities. Welcome to WA and congratulations on your new website and other accomplishments that you've achieved so soon after joining our community. I have no doubt that you will do well here. Please feel free to reach out to me and other WA members if we can help you along your road to online business success! Nice to meet you in WA! I'm a genuine newbie to affiliate marketing, there're lots to learn here. Glad to have an awesome community with people helping me along the journey. Thank you for following me too. Brian have a quick question about living abroad so I am happy that you have pushed follow on my network, i shall do the same. The question in fact comes in the form of a request to post something more of how you have come to live in HongKong and if you have in fact lived in the United States prior to this. I was born and grew up in Hong Kong. Have been to U.S once in 2001 for vacation in L.A. and Vegas. Hope to visit again if I can earn some money in online business. It's great to be a part of Wealthy Affiliate community and connecting with people like you. Let's share our success stories together and stay in touch! Thank you for following me and it's great to meet you. I just checked your website and I am very interested to read up on the Asics. I wish you and your family the very best in all aspects of life and will run the marathon with you through WA! It's great to meet you too. Thank you for visiting my website. Hello Brian, sorry for the late response. My name is Ken and I welcome you to WA and thank you for the follow. I'm following you back.You had guts to quit your job to try and start something new. I couldn't afford to be that drastic. I instead use my online platform more as a gateway to eventually become full time. If you are making it work then Kudos to you! I look forward to working with you and helping you any way you need. I wish you much success and enjoyment in your online journey. Hello Ken. Nice to meet you in WA. I'm just a newbie to online business, hoping to find a way to get some money for a better life. Believe we will be successful by working hard in learning and practicing. It's a marathon. Wishing you every success and enjoy your journey. Welcome to WA. It's a community where you can learn lots of new things. Wishing you every success here. Thanks for following me, Brian. Well done in choosing WA for your online journey. I believe it is the place to be if you are looking for success as an online entrepreneur. I feel privileged to be part of your network. Hope to interact more in the future. Hi Mojalefa, It's my pleasure to be in WA community and connect with people like you. Keep in touch. Welcome to Wealthy Affiliate, Brian. Great to have you here in our community. I want to thank you for having me be a part of your network and I've followed you back as well. I hope all is working out well with your online business and wish you much success fulfilling all of your personal and financial goals. Thank you very much for following me. I have also run many marathons in my life. In some I have reached the final goal, in others, I had to leave. I still continue running marathons I think I'll never leave... The road is made when walking, what do you think? Glad to know you are a marathoner too. Everyone has his own goal of success and has a unique path, keep learning and practicing then we will see the road ahead. Start with walking, keep moving forward, some time later, we can made the road to success by running. LOL. Keep running and enjoy the journey. Thank you Brian for the follow, I will follow you too! I found this place to be my home and hope you experience this feel like me too! Good luck my brother, you are now back into a second wind. Btw, you gottaah be in great shape! Yes, WA is a great place to stay, an awesome community that connects and help one another along the journey to success. Congratulations on going Premium! You wont be disapointed. I will definetely look at your website since I am also a runner and gym freak! Doing my second marathon in one month too! If you want to take a look at my website, feel free to drop a comment. I will do the same! Im reviews and giving news about fitness wearables. Glad to know we have another marathoner in WA. I visited you site, the design looks very attractive to me, and the posts are comprehensive. Wish you a sub 4 in your second marathon. Awesome! And Thank you for the website review! This means a lot to me! Can't wait to do my second marathon...3 weeks left! Of course, we will keep in touch! Hi Brian and thank you for following. I am of course delighted to follow you in return. I hope you did press 'start' lol. We are glad to have you on board and the Wealthy Affiliate platform is the best on the internet. You will learn far more here than anywhere else and the owners are always dropping in to see how we are doing and if you cannot get a resolution to a situation Kyle is only an e-mail away. I don't know anywhere else where the owners of a company take such an interest in their people. If there is anything I can help you with please feel free to ask. I am always happy to help newcomers as I was one myself once. Hello Brian,♫Welcome! I am so pleased you found WA. Nice to meet you ツ I wish you a lot of learning pleasure and fun at WA. Thank you for adding me to your network. Hello Brian And Welcome To Wealthy Affiliate. got lots to learn here as I'm a genuine newbie. Thanks for your support and everyone in the community. No probs Brian and if/when you read my blogs make sure you choose the ones that will help you in conjunction with whatever training you are currently taking. Also you may not be aware of this but it’s a good idea (only if you want to) to click the 'Like' icon within a comment if you like it as I have done with yours. Onwards and Upwards and click the 'Like', if you don't click someone's Like they wont click yours. Dear Brian, welcome to our WA community, you're on the right place to start an online business! Thanks for sharing and for adding me to your WA network, much appreciated. Success with your course, keep on track and let's stay in touch. It would be great if you could add a little more to your profile. You might want to consider perhaps giving your name in the Bio, where you are from, if you have a job at present or in the past. Other areas of your life, things you like or dislike and maybe how you arrived at WA. These are only suggestions of course but it would help the community to get to know a little better. It's totally your call. Welcome to Wealthy Affiliate and congratulations on going premium. It is a wonderful opportunity to create an online presence in a really supportive environment. Best wishes for your journey. Thanks for the follow. A warm welcome to you at WA. If I am not here you can always ask questions to the community, the best way to ask (in my opinion) is by using the "big wide white question tab" at top of this site. Or the "grey pen tab" in the upper right corner of this site. That way your questions will get answered in the fastest possible time. Welcome Brian to Wealthy Affiliate! Great to see that you made it! :) You really got a great opportunity here and you have made a very wise decision to try things out. Here is EVERYTHING you need to be able to start making a consistent passive income online in the form of your own business and then scale it to... The sky is the limit I would say. You have to get the ball rolling though, and that might take a while if you are completely new to all this... For me, it took 4 months, others have done it a lot faster and other a lot slower also... What I try to say here is that it is up to you. Simply, follow (at your own pace) the course material step-by-step instructional videos and you will be able to progress pretty fast. 2. Go to “get Started Here” course! You find it within the main menu (BIG GREEN button). Or, with this link here: Online Entrepreneur Certification - Getting Started Level 1 Key to success is to interact and ask A LOT of questions. I promise that you will get ANY question answered! Put at least 5-10hour/week on this (more if you can) and things will start to fall in place very quickly! Remember to ALWAYS ask for help if there is something you are not sure about! If you decide to become more serious and go Premium, you can, of course, do that whenever you want. However, if you do it within you first 7days you are going to get the "action taker" bonus, your first month for $19! 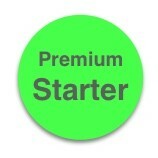 I will also throw in a personal "secret surprise bonus" to you if you go premium within 7 days. I'm Back! 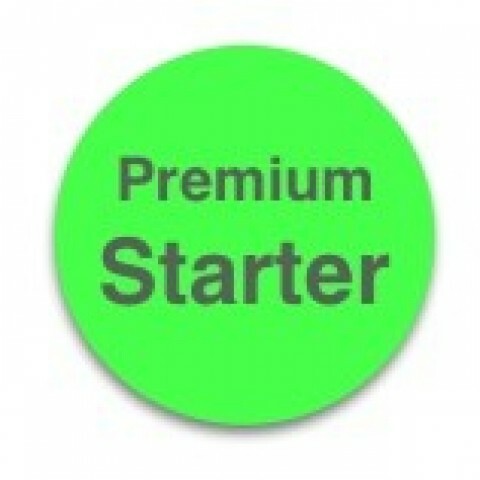 A Premium Starter.